Inter Milan have successfully lift themselves up into the standings after picking up important victories in their last few Serie A matches and this situation brings delight for the club’s president, Massimo Moratti, who could present some Christmas gifts for their coach, Claudio Ranieri. The patron, who previously stated that there might not be anymore incoming in January apparently has changed his mind and ready to provide additional help for Ranieri. Although admitting that his current Inter squad actually already have quite a lot of players, but Moratti is willing to provide what Ranieri has been requesting recently. The media in Italy suggested that the ex-Juventus and As Roma coach is looking for fast players in the winter transfer window, as the tactician thinks that the current Nerazzurri roosters are a bit lacking on pace. One of the supposedly arrival for Inter this January is Genoa’s midfielder, Juraj Kucka, but apparently the switch might not happen this winter, despite reports that the player’s contract is already being bought by Nerazzurri in exchange for their currently injured young goalie, Emiliano Viviano. Moratti himself still can’t figure out what will happen with that agreement as previously Genoa’s boss, Enrico Preziosi, also stated that Kucka might still stay at Marassi until the end of season. “I really don’t know. 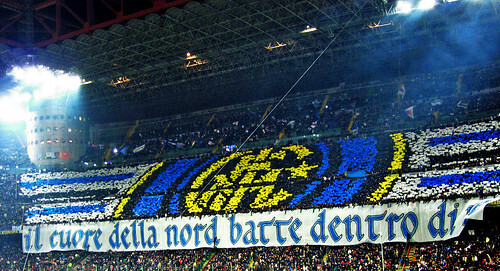 I have to speak with the others regarding this situation,” Moratti stated. “Inter are in discussions with us, but he has an important value for us so he could remain at Genoa,” Preziosi added.